Our website (trackingshipment.net) is not affiliated with DPD. Please be advised that DPD - tracking service has just been added to our service, and we haven't enough time to collect a lot of information about popular questions. At the moment all results are being represented without our correction. You can ask any question about it; we will find an answer to it. We will make a FAQ in the short time. 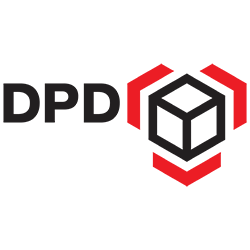 DPD Group is one of the pioneering delivery companies in Europe. It was established in 1976 as the local delivery service. Nowadays, it consists of four global enterprises – DPD, SEUR, Interlink Express and Chronopost that provide fast, efficient and convenient services to customers from all around the world. Using DPD services you can send a package to one of 230 countries on five continents. DPD guarantees the safe delivery of all orders and allows its customers to check the parcels status online using the international tracking system. Every day more than 50 thousand employees of DPD Group deliver nearly 3 million packages to their fully satisfied recipients. Customers can pick up the packages in one of the 22 thousand pickup points. The primary goal of DPD is to remain the status of a client-oriented company. That is the main reason why the company is constantly evolving user’s experience. All new solutions help to make the whole delivery process easier and more efficient. DPD is trying to be closer to the customers. One of the company’s goals is to create healthy work relationships with clients to meet all their challenges and needs. The company employees regularly try to make their services grow better with each day. Certainly, every client wants to know the exact time of a parcel’s arrival; now this information is rather easy to find out. Customers can use a particular service, called Predict to get the precise hour when the order will be delivered, all you have to do is send a text message or e-mail to DPD. DPD tracking is an easy-to-use system, which helps to monitor the whole route of your package. To track its delivery, the customer should know a special DPD tracking number. Once you hand over the parcel to company’s representative, you receive the postal receipt with DPD tracking number. Knowing your DPD track number, you will be able to find out the information about the locality of your parcel at any time. DPD tracking is essential when it comes to international delivery. As this type of delivery usually requires a little bit more time, shipment tracking is a perfect method to monitor the whole delivery process. Naturally, DPD tracking is an excellent service for monitoring your delivery. However, when you send or receive loads of parcels daily, it is much more convenient to use one universal and multi-purpose tracking system. The easiest way to find the system like this is to follow our k2track website. Using our service, you will constantly have only up-to-date info about the location of your parcel.